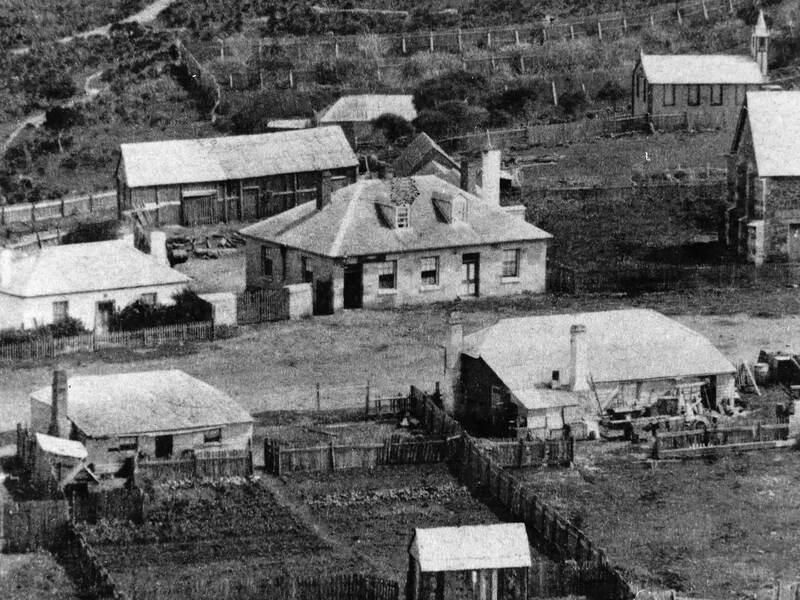 One of Stanley’s oldest buildings, the Plough Inn was built by the Van Diemen’s Land Company to house overnight travellers from Hobart. Although the exterior walls are plastered now, underneath you’ll find thick bluestone walls characteristic of many of the town’s earliest buildings. Facilities were basic – there was no kitchen nor inside toilet back then. Travellers had the use of outside dunnies! A baker’s oven located on the side next to the Church was used to bake bread for the entire village. 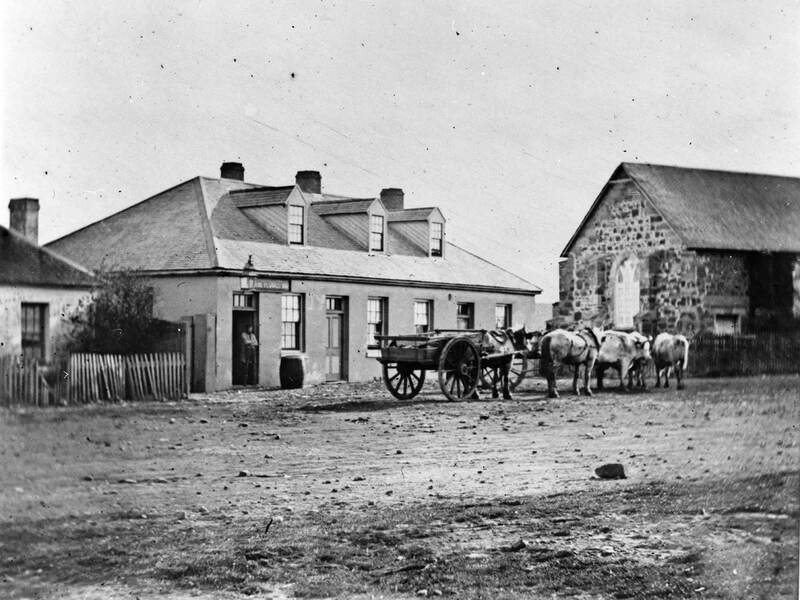 The Plough Inn was licensed as an inn until 1876 when its use became outdated. It was sold to Mr H.G. Spicer who modernized the building and turned it into a pharmacy. The old inn bar became a dispensary, dispensing lotions, potions and medicinal treatments to the town for over fifty years. Mr Spicer also established a printing press on the premises and published the parish magazine, featuring characters like ‘the Tin Lady, Mrs Bung Eye Brown’. Meg remembered her arriving in her horse and cart, loaded up and clattering with cake tins and trays, dolly pegs and dishes in every size, travelling from door to door with kitchen-wares for sale and always, says Meg, a very colourful tongue. 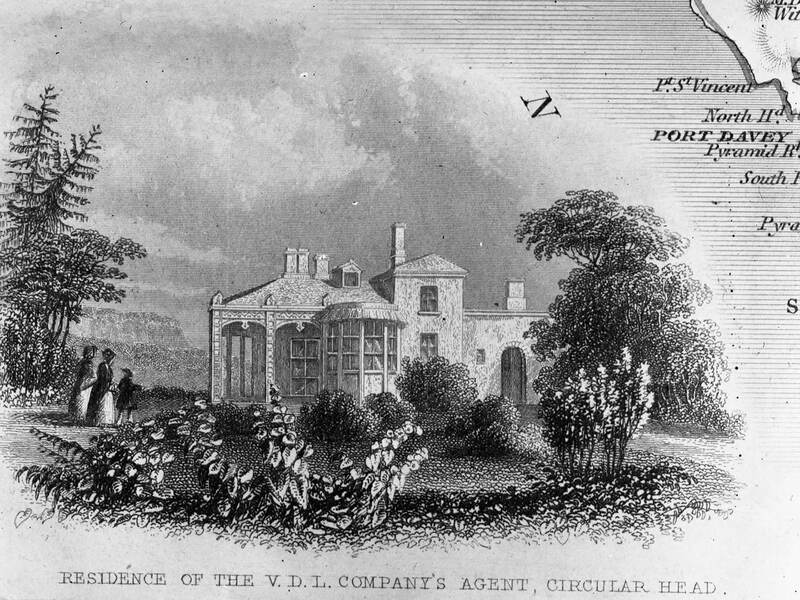 The Plough Inn is now owned privately by the great granddaughter of Edward Curr, the first chief agent to the VDL Company.